page is no longer running ( 2011 - 2014 ) r.i.p. enjoy these songs. 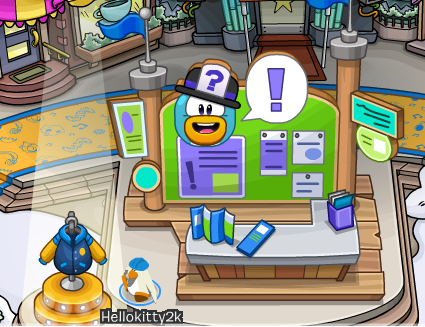 Visited Club Penguin today to check to see how it's going so far. There were a few task of answering questions so I decided to finish them. 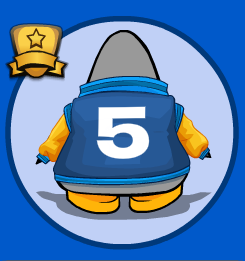 I love collecting the badges that they offer. The following are pictures of a question and a badge that I've earned. 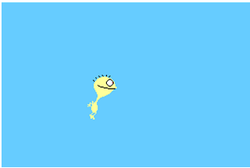 I even earned backgrounds for answering 3 questions correctly at each place. There were a few questions that were relevant to the iceberg. Hurry up and get your badges and backgrounds before Club Penguin shuts down on March 29, 2017! Enjoy them while they last. I'm hoping my collected items will transfer over to the new mobile version. Yeah, we're at the plaza. After many years, Club Penguin has decided to discontinue their game play to Club Penguin Island in March 2017. After reading online, I learned that we are now able to tip the iceberg. I logged on to see if it was true or not, which in my surprise it was true. It's likely true since Club Penguin will be discontinued soon. In the pictures below, you can see what the iceberg looks like after being tilted. 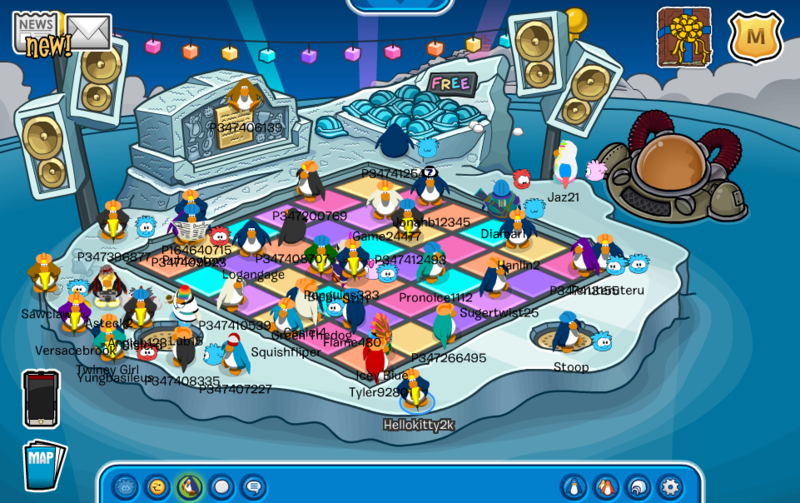 There is a dance floor with music playing and each penguin gets a free blue hard hat. 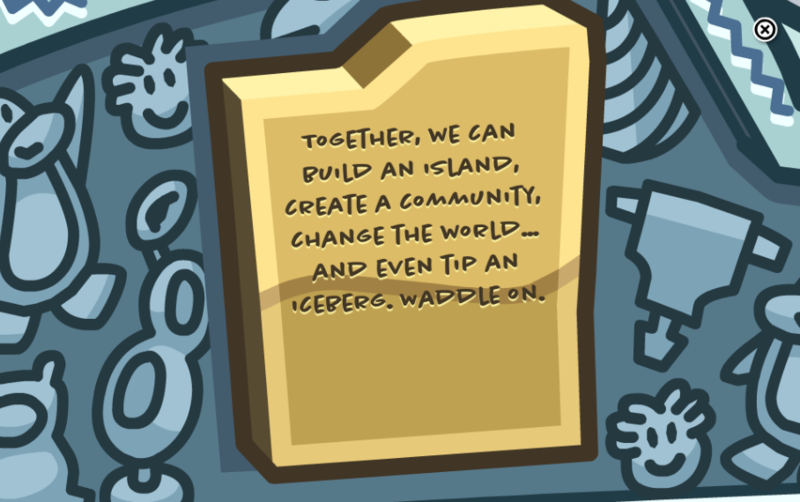 A sign posted on the craved stone towards the left reads "Together, we can build an island, create a community, change the world... And even tip an iceberg. 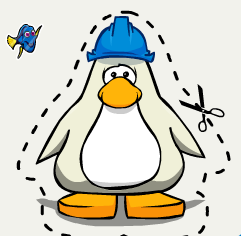 Waddle on." I will forever remember Club Penguin as being a part of my childhood years. As Jay Park once said, "Youth only comes once so you can't waste a single day." It has been 3 years since I've posted. . . Long story . . .
Hey friends, be sure to visit askmath.weebly.com. Math-o-Matic is an educational math related website where you can learn Algebra, Calculus, Physics, or anything math related. There are links to pdf files that contain worksheets that you can work on. Plus, there are files that contain the explained answers that you can check your work! How cool is that? Math-o-Matic even includes notes on specific things. For example, go to the Algebra section. There are some pdf files there. New and exciting math stuff are popping in! 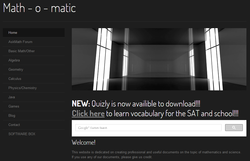 **SAT WORDS AND SOFTWARES ARE FREE FOR DOWNLOADS! CLICK HERE! Please check out askmath.weebly.com to explore more! And of course, this site is in our "Other Websites" page. Then the three other monster friends wave goodbye as the leader jumps into a sailboat, which then it takes him to somewhere that looks like it Italy perhaps? I'm not sure, but the floor has red and white checkered, which most restaurants used as the design on table tops. A random pilot guy falls into a large pitcher! Anyways, so the leader of the little clip disappears and then three chefs comes running in. Then these pigs dressed as clowns in a little circus band forming a line play music. (Aww, you are not able to hear them play the music though :c) And then a naggy old pig lady runs after them while holding onto an umbrella. She probably hates them! And a random dog walks behind her. It even might be her dog. Maurice Sendak was born on June 10, 1928 in Brooklyn, New York. He wrote a lot of children books and one of his famous book is known as "Where the Wild Things Are". And the little clip that you saw from Google is a little preview of Where the Wild Things Are book or the movie. It was first published in 1963. Awards that were given to him includes: a Caldecott Medal, Hans Christian Andersen Award, Laura Ingalls Wilder Medal, and an Astrid Lindgren Award. Heartbroken as he was, many of his family members died during the Holocaust for they were Jewish. Poor Maurice Sendak recently died on May 8, 2012 in Danbury, Connecticut, which he was soon turning 84. Don't know what to give to your mom? Well here's your solution! Head your way on to Google now! Go visit google.com for a fun way to make a pretty picture that Google has offered for you! And you are able to print it out like a greeting card and you are able to copy the link and send it anywhere. Such as sending it to your mother's email! What a great idea for Mother's Day! You know what, I might as well make some for my mother too! **The links don't work anymore though :( They have been expired long since. Math-o-Matic is an awesome math site where if you are that person who is currently learning Algebra, Calculus, or Physics, this site is perfect for you! There is links to pdf files that contain worksheets that you can work on. Plus, there is another file that contain the explained answers that you can check your work! How cool is that? Math-o-Matic even includes notes on specific things. For example, go to the Algebra section. There are few pdf files there. Currently, this site has just been made and is on the way to be updated more often as new and exciting math stuff are popping in! Please check out askmath.weebly.com to explore more about Math-o-Matic !!!! And of course, we just added this site to our "Other Websites" page. So this is the new HelloKittyPedia! Sooo... Welcome to the new Hello Kitty Pedia! 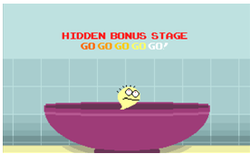 It's a HIDDEN BONUS STAGE! Cocoa Puffs cereal are falling from above!!! Are they Cocoa Puffs cereal or a different type of cereal that looks like Cocoa Puffs? Hmm... we will never know. But, the instructions are to move Cheese left and right to dodge the cereal that are falling from above. If you get hit by one cereal, then you lose two bars of health. 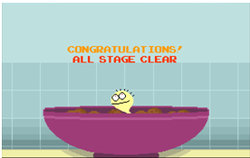 You have to dodge about 27 cereal and then you will complete the stage. If you complete the whole Cheese Quest, you should be proud of yourself! 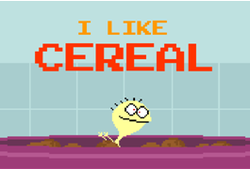 When finish, there will be this screen that Cheese says, "I LIKE CEREAL" even though he was scared before and he tried to dodge them. 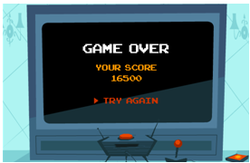 Remember, if you lost all of your bars of health, and it's game over for you, you can always click "TRY AGAIN" and you will go back to your last checkpoint. The checkpoint is a red flag that raises itself up each time you past it. Hope you had fun reading my Cheese Quest Adventure! Welcome back to the Cheese Quest Adventure! 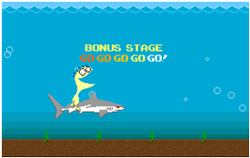 When you finish the space stage, you move on to a different animal, which is a shark. But, Cheese calls the shark a water horsey. 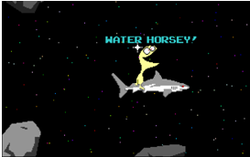 Yeah, first it was a land horsey, which was the pony, now a water horsey, which is the shark. So, maybe you might figure it out. This stage is a bonus stage! Congratulations if you are those who made it this far! Here, you have to dodge the bombs. The bombs should not touch Cheese or you lose two bars of health. 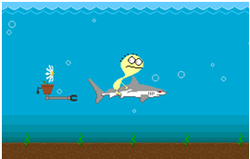 The good thing is that the shark can eat the small, thin bomb. But, the thing is, the shark can't eat the huge bomb. Cheese jumps somewhere. But, where? So this is all I have for you today. Come back next time to find out where Cheese jumped to! See you in the next Cheese Quest Adventure! After you receive the pony, you are going to jump over a few things and then the pony will fly up to space with Cheese. There, you will fight against robot that lives in space. You will fire arrows to shoot and destroy all of the robots using the pony. The arrows come out of the pony's eyes. 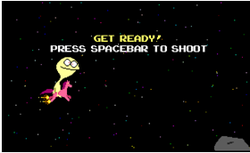 The instructions on what to do is to use the space bar to shoot out arrows and use the arrows keys to move up, down, left, and right. Dodge the robots. If you hit a robot, you lose two bars of health. There will be juice boxes up in the space. So grab them all as you can! You'll need them. 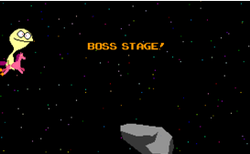 After fighting all of the robots, you then have a Boss Stage. It's not difficult, but the boss is a little more tougher and has much more health than the robots do. And the boss is a cake! Isn't that funny? You probably love to eat cakes, right? But, guess what, Cheese is scared of cakes! Anyways, the cake shoots out candles, I believe. It looks like candles a little. So this is all I have for you today. Come back tomorrow to read more of the Cheese Quest Adventure!